When I am not running in a group, or during a race when I know the course is not the most scenic, I do enjoy running with my iPod. There is something pretty cool about zoning out and just letting the beat take over my feet. The problem I face, is comfort in headphones. I have tried just about every headphone out there and my personal preference is not ear buds that are placed inside he canal. I keep going back to the earphones I received with my iPod, that just fit above the lobe where the speaker sits on the concha and faces the canal. 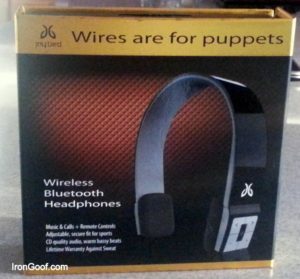 Of course, they do not last, and the sound quality has a little to be desired. Not to mention, the inconvenience of those wires. 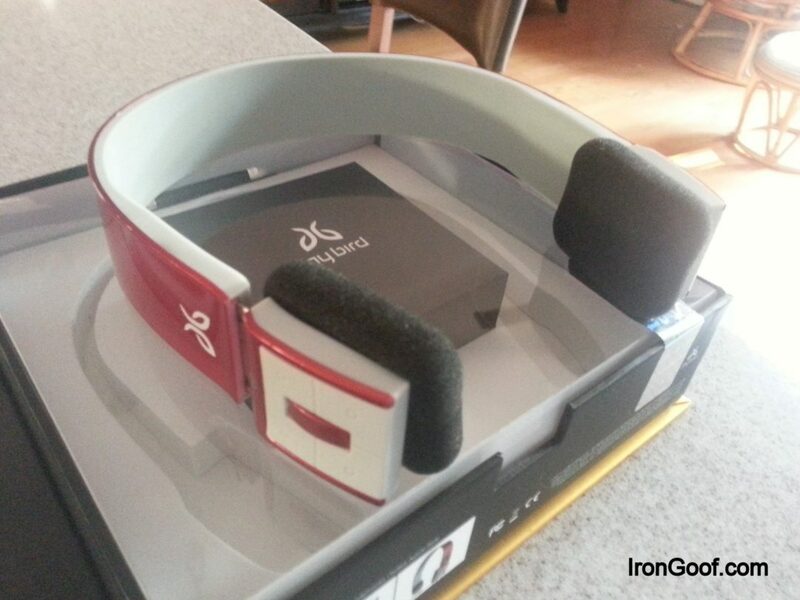 Enter Jaybird with their Sportsband Bluetooth Headset. Jaybird was nice enough to send me this model, which looks like the older headphones that fit over the head instead of around the back of the neck or just sitting in the ear. They are extremely light, which does not cause any neck pain or strain and due to the fact they are Bluetooth they are wireless. I ran the entire Sarasota Half Marathon without them sliding off my ears, or hear any hesitation or disconnect from my iPod. 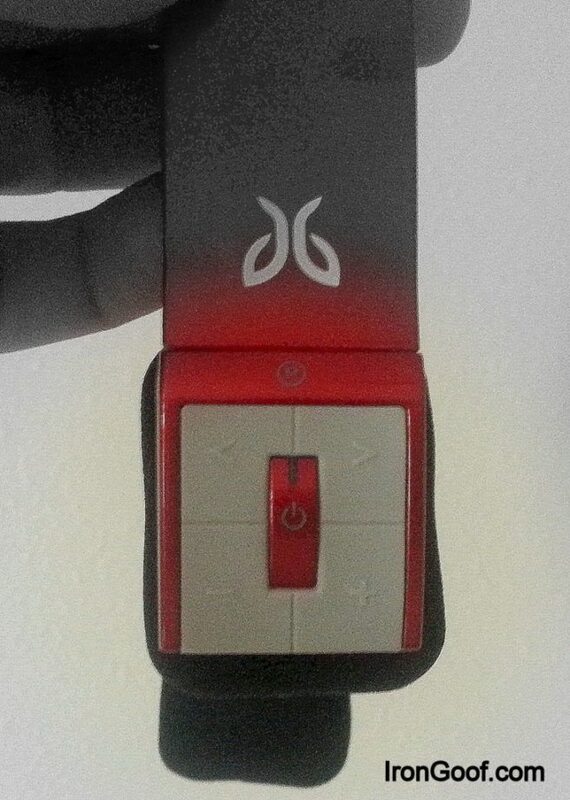 The controls are located on the right ear and have nice size buttons that are easy to access and allow you to skip forward or back, pause and control the volume. 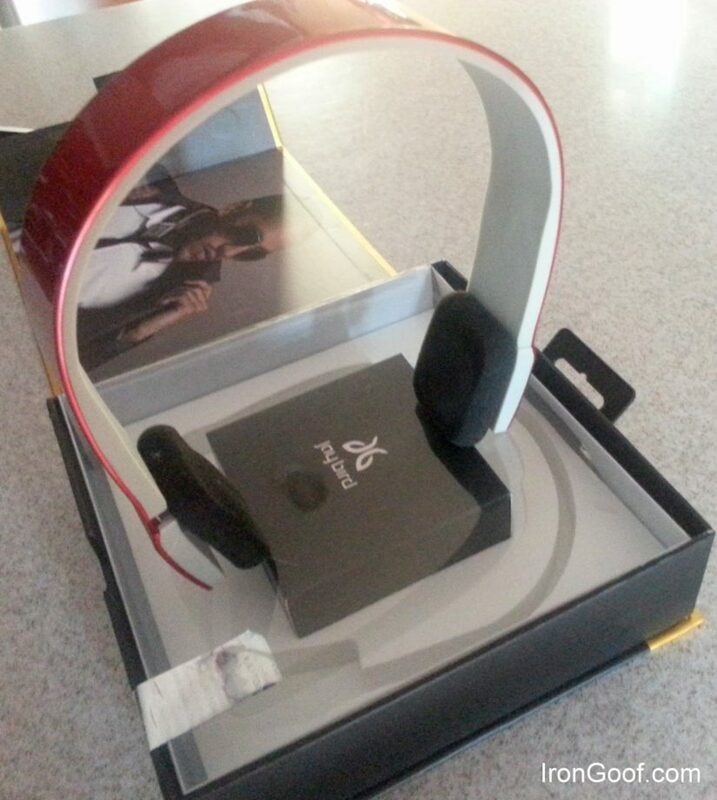 The sound quality is probably the best I have heard in a Bluetooth headset. The sound is rich, clear and responds well to the sound controls on my iPod. Needless to say I really enjoyed wearing this headset during the race. As, I was looking at the pics…well…the profile is pretty low, but they do look kinda goofy if your looking for them. It figures, look who is wearing them. I did test them with two different phones as well. The Droid Razor Maxx and the Samsung Galaxy Note II and they responded quick and as expected to Pandora, Spotify, the built-in music apps and the phone. A friend of mine, that didn’t know she was a part of this review, stated she thought I was using my handset. Most of the time she could tell, when I had a headset on, because the sound quality was usually pretty poor, but with the Jaybird Sportsband this was not the case at all. The sound was clear without static or hesitation. The Jaybird Sportsband comes in two models, the original the S2 which includes the uSport universal Bluetooth adapter. Both models are compatible with any A2DP Bluetooth device to include iPhone, iPad, iPod(7th Gen), Android, windows devices, PC and Mac. Options include the iSport and universal Bluetooth adapters on the original and S2 models. The company just so happened to send me apple red, but there are also a wide range of colors available. I really enjoy running with this headset. It fits over my ear and not inside, which is more comfortable for and it still allows me to hear ambient noise around me which makes my music motivating not distracting. I give this device 5 out of 5 Goofs. I need a new headset! Thanks for the review!